Once a year, all the villages on the lake get together to celebrate Phaung Daw Oo Pagoda Festival. 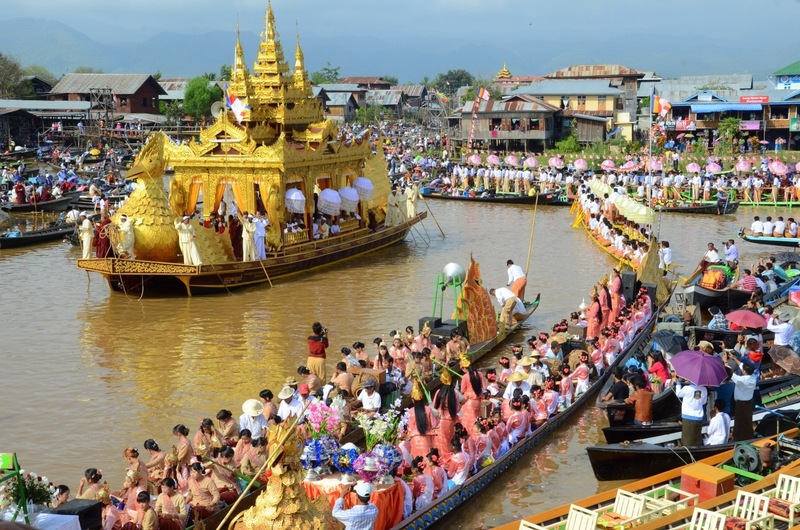 The center of the festival is a Pagoda on the waters of Inle Lake, which is known for its gilded images of five Buddha Images which are covered in gold to the point that they have become roundish blobs of gold. 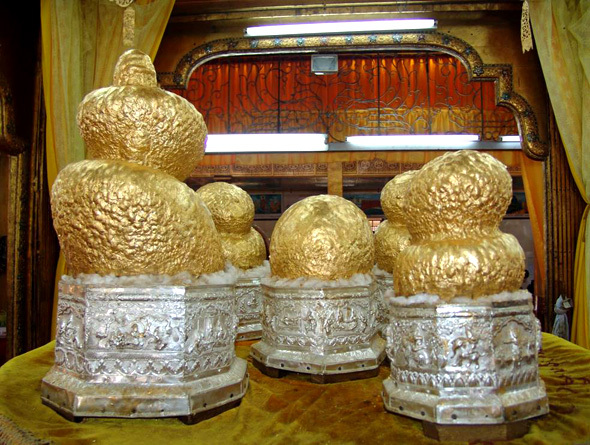 During the eighteen day festival, four of these Buddha images are removed from the pagoda and taken on a bird (mythical Hamsa Bird) like barge through the villages in and around the lake. Phaung Daw Oo Pagoda festival is considered the most extravagant pagoda festival and many pilgrims would travel to Nyaung Shwe to pay homage during festival. The best scene would be the arrival of barge to Nyaung Shwe from Lin Kin and for this year it would fall on 20th of October 2015 at 7 AM (local time). Travel Tips: It is important for travellers to have shoulders and knees covered with sarongs and blouses as it is not allowed to enter the pagoda in tank tops, short skirts or short trousers. Only men are allowed to see the Buddha images up close. Inle Lake is famous for its leg rowing fishermen. Here, boat travel is the main way to live, work and even get to school. During festival, leg rowers will be competing in the boat race with legs locked around oars, powering long boats against each other. It is the one and only place in the world one can witness such marvelous competition. 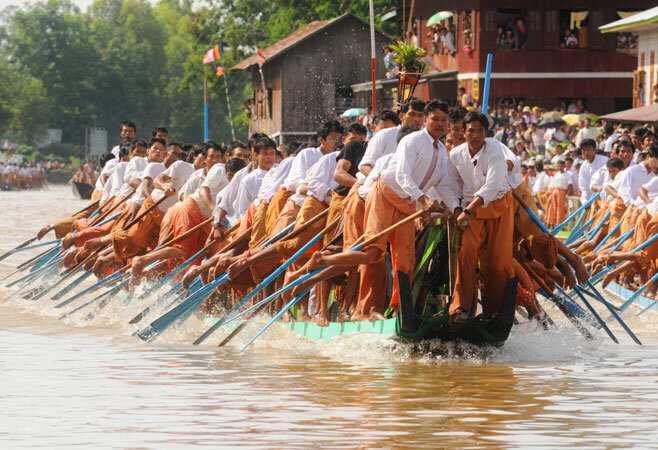 This year the boat race will be held on 20th October 2015 at Nyaung Shwe at 10 AM (local time) and on 30th October 2015 at Phaung Daw Oo Monastery at 10 AM (local time).